IN his continuing search for the more weird, wacky and wondrous in the world of travel, David Ellis says that although it's got a population of a little over 3000, the NSW Southern Highlands village of Bundanoon holds an annual event that's the envy of many another when it comes to local charity, volunteer and community-group fund-raising. 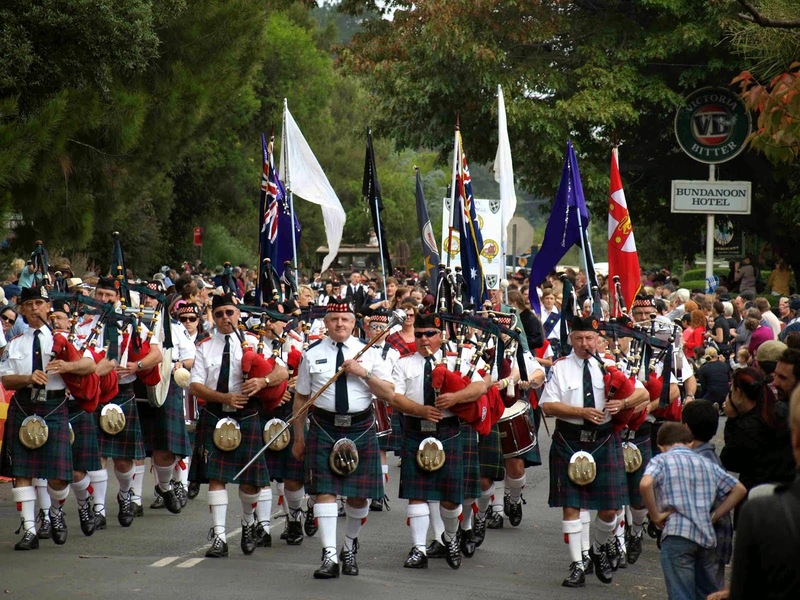 Because it's annual Bundanoon is Brigadoon in the past 33 years has raised a mind-boggling $1m-plus for such groups. The biggest Highland Gathering in Australia, Brigadoon attracts on average 12,000 visitors – four times Bundanoon's population – for everything Scottish from massed pipe marching bands to caber tossing, "knights in armour" engaging in mock fighting, Scottish Country and Highland dancing, strongmen lifting competitions, water-filled balloon hurling and fresh-egg tossing and catching, and events for wee lads and lasses. Plus arts and crafts stalls, a Scottish ancestry help centre… and yet others offering more-ish Scots mutton pies, drop scones, fresh-baked Highland shortbreads, Abernethy biscuits, gingerbreads, butterscotches, and blood pudding and haggis. 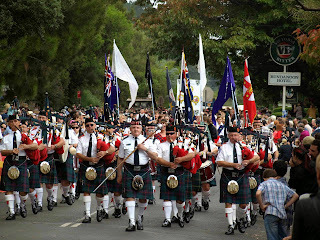 Proceeds from the day go back to those charity, volunteer and community groups who help put it all together and run it, including the local Rural Fire Brigade, SES, schools, sporting groups, Scouts and Guides, and the massed bands that come from other parts of NSW. In the past 33 years this has amounted to an enviable $1,073,401; Bundanoon is Brigadoon will next be held on April 11 2015.